The choir was featured in the April / May issue of CB8 Magazine; which focuses on local services, business, lifestyle, health and the community. 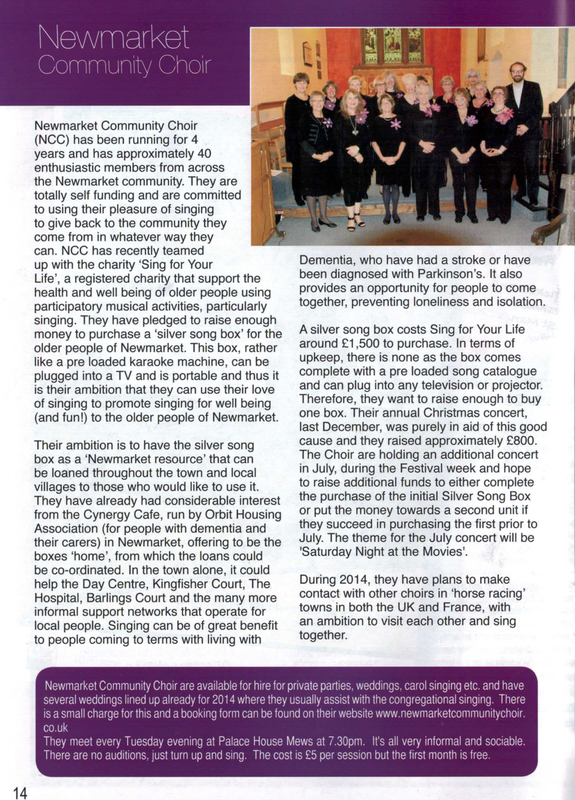 At the time of writing, the Newmarket Community Choir were still counting up the money from their fundraising efforts in trying to purchase a Silver Song Box from the charity Sing For Your Life. The box, rather like a pre-loaded karaoke machine, can be plugged into a TV and is designed to help people suffering from dementia and Alzheimers. We are pleased to announce that, thanks to a donation from Forrest Heath District Council, the choir was able to purchase the first Silver Song Box for Suffolk and it is already doing the rounds in Newmarket! It’s a fantastic bit of kit and we hope that it will really help benefit the older people of the community. 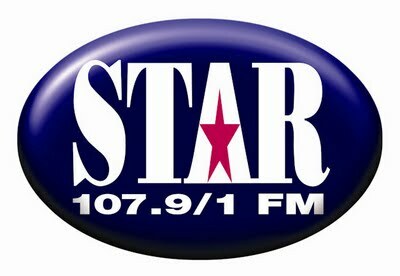 Throughout January 2014, the partnership between Newmarket Community Choir and Sing For Your Life has been chosen as the “Charity of the Month” for Star FM! Thank you all for your support in 2013 and we hope to see you at some of our performances in 2014! Newmarket Community Choir’s christmas single to raise money to buy a karaoke machine for dementia sufferers. Sing joy to the world! is the Christmas single by a Newmarket choir which has been released this week to raise money for a local cause. The Newmarket Community Choir released Sing Joy to the World! on Friday, December 13.They have teamed up with charity Sing For Your Life, who support the health and wellbeing of older people using music and contributing to the issue of dementia. The NCC will be using funds raised to buy a “silver song music box” for people with dementia. Choir chair Diane Buddery said: “We have pledged to raise enough money to purchase a silver song music box. “This box, rather like a pre-loaded karaoke machine, can be plugged into a TV and is portable. The music, lyrics and guitar for the song have all been done by local artists, musicians and lyricists, with singing provided by the Newmarket Community Choir. They have already promoted it with a live performance at Tattersalls Sales Ring on Friday. The song costs £1 with all proceeds going to Sing For Your Life. To download it, go to newmarketcommunitychoir.bandcamp.com. 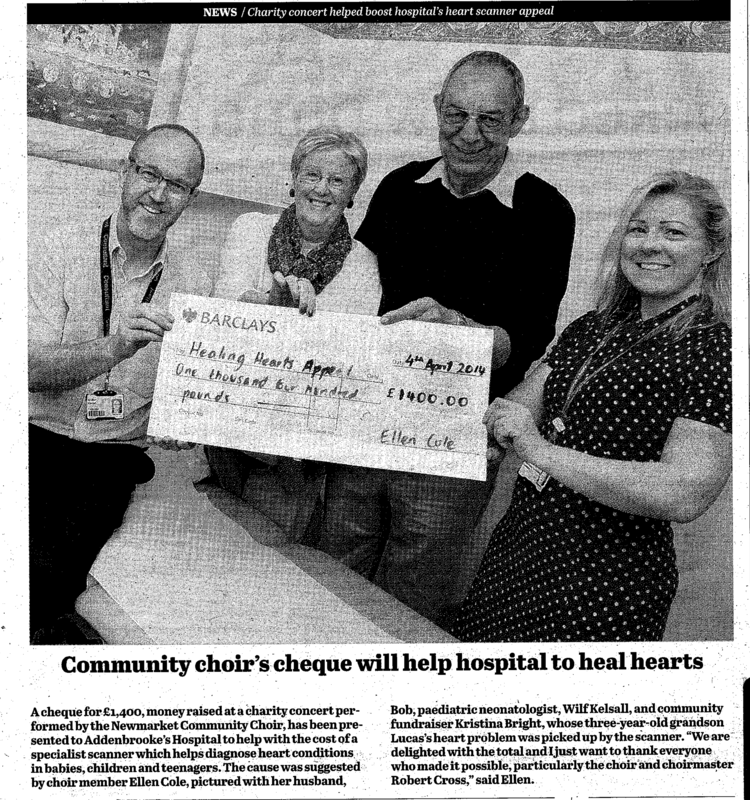 The Newmarket Community Choir were featured in the Newmarket News again due to our efforts at the Darley July Cup day at the races on Saturday. Voices echoed across the July course as a choir gave the performance of a lifetime on Saturday. Newmarket Community Choir were in good voice as they dazzled race goers with the “Really Big Sing”, where they performed at different spots across the course before finishing the day at the Winner’s Enclosure. The group have been practicing for months in preparation for their performance at the Darley Cup Day, the culmination of the famous July Festival race meeting. This entry was posted in In The News, Performances, Really Big Sing. 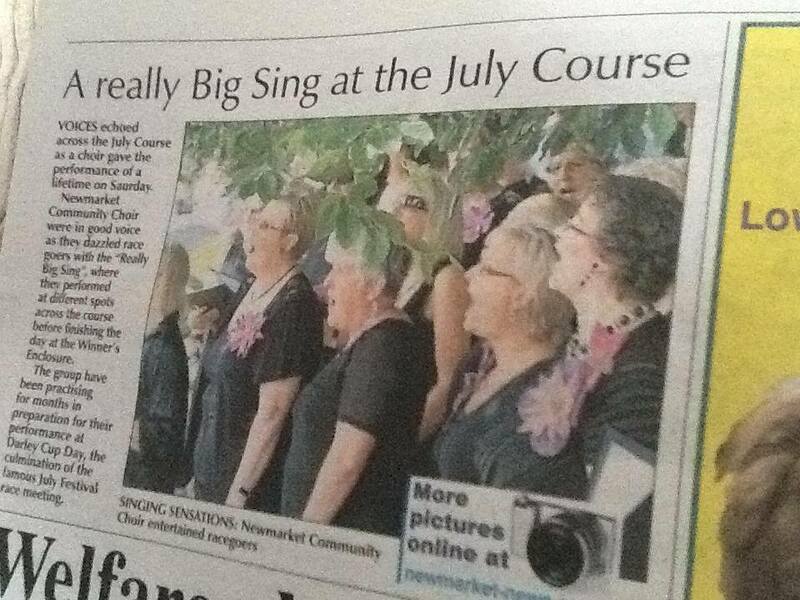 As we get ever closer to the Big Sing Event on Saturday 13th July, Newmarket News got in touch with one of our members to ask them about how the preparations were going. We will be singing around the racecourse throughout the day so do come and say “hello”! This entry was posted in In The News, Really Big Sing.